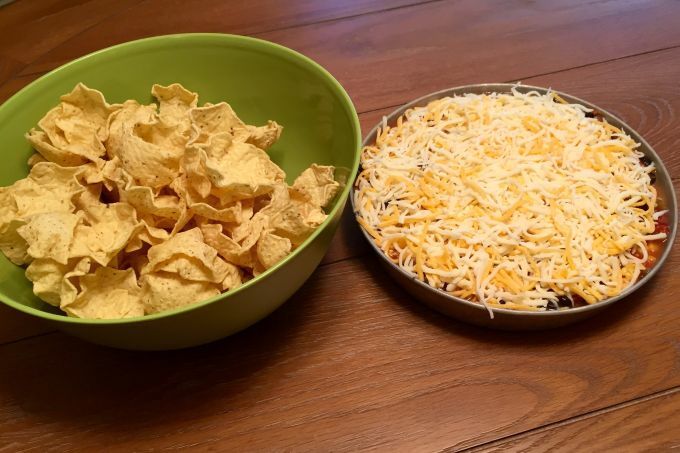 I LOVE 5 layer dip (and pretty much all Mexican food) but it is pretty caloric so… I came up with this version! It is much lower in fat and higher in protein. Plus, it passed the “family” test. I served it at a BBQ and it was gone before dinner. So, I consider that a success! They loved it! 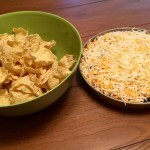 The yummiest 5 layer dip you will ever try! They'll never know it is low-fat or low cal! 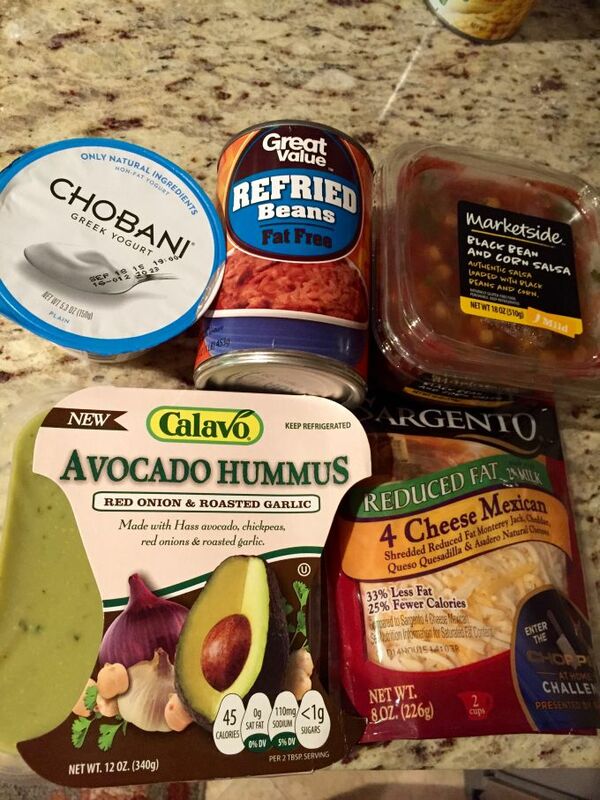 1 12 oz container avocado hummus If you can't find it, you can use regular guac. I got this kind at Walmart. 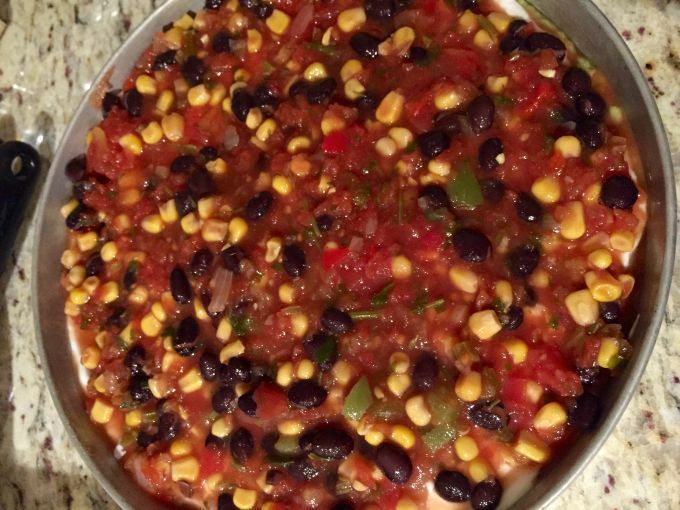 1 18 oz container black bean and corn salsa Any salsa will work, I just love the corn/bean version! 1 1/2 cups reduced fat shredded Mexican cheese blend Any reduced fat cheese will work! 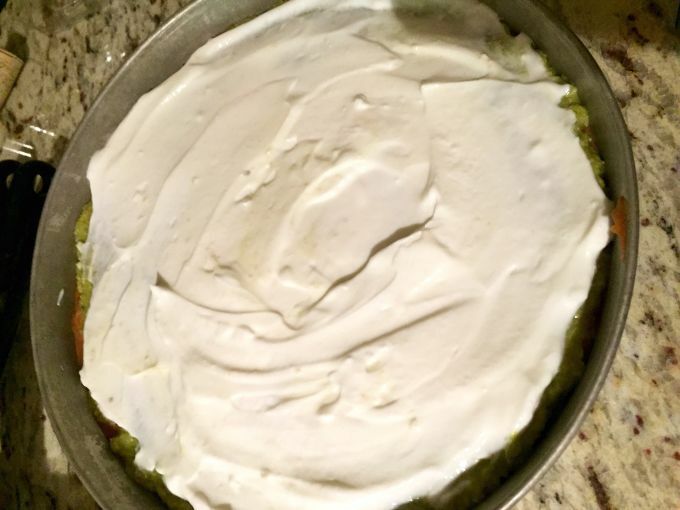 In a round cake pan, evenly spread out the beans. Next, evenly spread on the avocado hummus. Do the same with the yogurt and salsa. Sprinkle the cheese over the top.